Work, home, friends and any extracurricular activities you can fit in often take up all the spare time that those in the medical professions can spare. Taking care of others requires a lot of patience and energy, and if you’re not taking care of your body it makes it difficult to take care of others. Getting enough exercise is a problem faced by many, not only those in the medical professions. To stay fit and improve your overall physical health, try these tips for finding ways to exercise no matter what your schedule throws at you. One of the reasons many men and women wind up skipping the exercise during their daily routine is because they don’t have time to get to a gym. There are plenty of types of exercises you can do right from the comfort of home, or even the office. If you have a set of weights, 5, 10, or 15 pounds, you can try these workouts anywhere there’s enough flat surface for you to stretch out on. Over the Head Sit-ups: Lay down flat on your back with your arms stretched out over your head and 5lb weight in each hand. You can also do this exercise with one 10 or 15lb weight held between the two hands if two 5lbs is too much for you. With your knees bent slightly for support and feet planted firmly on the ground, lift the weights up as you pull your torso into a sitting position. Do these 15 times to startand increase weekly when this number doesn’t seem to impact your muscles anymore. Dumbbell Front Squat: With one weight in each hand, stand with your legs shoulder width apart. As you squat down as deep as you can, tighten your glutes and bring the weights up to your shoulders. As you release your glute muscles and stand up straight, extend your arms and lift the weights up over your head. Again, 15 every 2 days is a great start to a workout routine. Renegade Row: If you want a full body workout that includes weights, try the renegade you. Place your body in a plank position with hands on a set of dumbbells. Keeping your body in plank position, lift the dumbbells one at a time, 15 times each. You can start this position from the knees if you’re a beginner, going from the toes as you become more advanced. Feeling like there’s not enough time in the day is common for those struggling to exercise. You can make time by squeezing in different cardiovascular activities between tasks. For example, if you must go to accounting to pick up your paycheck at work, take the stairs instead of the elevator. At lunch time, don’t just hit the office cafeteria, walk the 5-blocks to your favorite salad place and grab a bite there. At home when folding laundry, fold on a different floor than your laundry machine or dresser. For example, if the laundry room is in the basement and your dressers are upstairs on the second floor, carry the basket to the main level, fold the laundry and then make a few trips to put it away upstairs. It might seem like more work, but it’s worth it in the end. Self-care is crucial for those in positions of caring, ironically, it’s often something that gets forgotten or neglected. Don’t forget to make time for you this week! If you’re one of the many people who spend a good majority of their days on their feet like nurses often do, it can lead to serious painful injuries in your back, toes, heels, knees, and ankles. It can also lead to poor posture, inadequate support for the body, and overall alignment issues. You have 26 bones and more than 100 ligaments, tendons, and muscles in each foot, so it’s no wonder that being on your feet all day affects so much! But what exactly happens when those bones, ligament, muscles, and tendons work so hard all day? Circulation to your feet slows down. This happens thanks to gravity. Your circulatory system works hard to pump blood up from your feet back to your heart, and it’ll all slow down as the day goes on. Your body gets tired. Additional contributors to this include injury, inactivity, pressure from being overweight, a lack of sleep, and others. Blood vessels begin to swell. When the circulation to and from your feet slows down, more blood is going to get “stuck” down in your lower extremities (again, thanks to gravity). Blood begins to pool in the blood vessels along your toes, heels, and ankles, which in turn causes the next effect of being on your feet all day: visibly swollen lower limbs. Your feet, ankles, and calves become swollen. When enough blood and fluid collect in the feet and legs, the skin will feel uncomfortably tight, and sometimes everything will feel so heavy from the waist down, making it more difficult to move them – you might even feel like there is “jelly” moving around in your ankles as you take steps, which is uncomfortable and distracting. Skin changes on your feet can appear. These can include calluses, blisters, bunions, and other sores that lead to soreness, stiffness, and pain. These can all be caused by being on your feet all day with shoes that don’t fit properly. 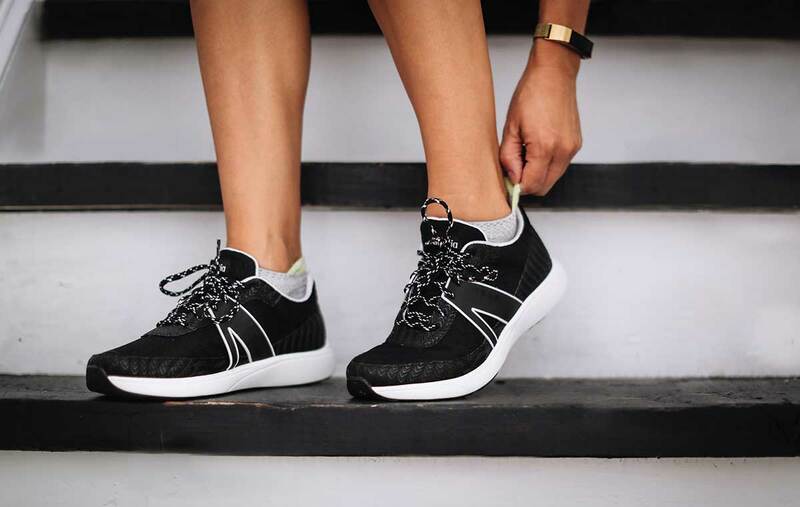 During the day, feet can swell by a good half-size or more, so if you find you’re battling blisters and calluses often, you may want to try a different, more supportive, larger pair of shoes. Internal malformities and inflammation can erupt. Plantar fasciitis is one of the most common issues for nurses and other people who are on their feet all day. This condition is characterized by painful inflammation of the band of tissue that runs along the bottom of the foot, along with heel pain. Hammertoe is a painful deformity of the big toe that can occur when toe muscles become weak, putting pressure on the tendons and joints of other toes to compensate. This causes the big toe to painfully stick up at the joint. Other painful conditions that can occur include Morton’s neuroma, Achilles tendonitis, and others. One of the best things you can do to help your feet make it through long days is to wear proper footwear and take care of your feet. Unfortunately, many people, whether they be athletes, office managers, nurses, or anyone else, don’t pay enough attention to their hard-working feet until there is a problem. Preventing foot problems can keep you in top health and able to function as you should, whether it’s at work, at home, at the gym, or anywhere else.